Being a role model is great, but it could be spectacular in the eyes of a kid if you know the secrets to success. Leave the Jock at the Gym. It may be cool around the guys you hang out with to be the tough guy, but for kids it’s different. Not all boys are impressed by the muscle building guy who plays 5 sports. There are a lot of kids that simply love to read books, but are afraid to express themselves in that way because they don’t feel other males will accept them. There’s nothing wrong with the kids who admires strength and athletics, but helping them to expound upon all of their gifts and talents shows them how diverse men really can be and they don’t have to be pigeon holed. Save the Authoritarian Face for Work. Sometimes when dealing with youth people we fall into the stereotypical authority role. Mentors want to be serious about helping kids but don’t be serious to a fault. Loosen up and crack a few jokes. 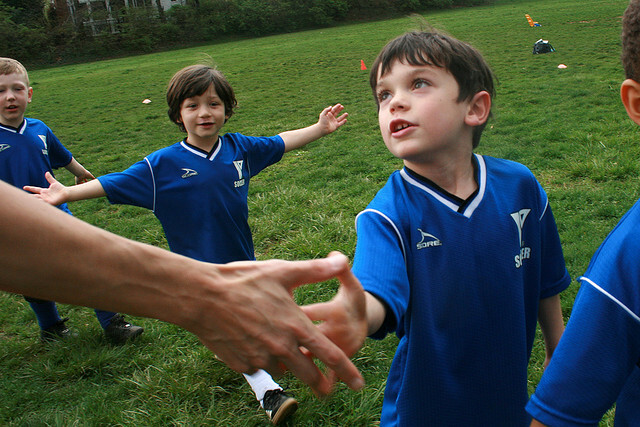 You have to build rapport with kids and if you act like the other adults around such as parents and teachers who have to take an authoritative approach regularly, mentoring them may not go so well. Have fun! Stay Consistent & Engaged. One of the biggest complaints I hear from men about their childhoods when trying to redirect their lives is that role models were not consistent or acted like they were there but didn’t want to be. Even if you’re only a role model to family members, consistency and full attention are the keys to success. This shows kids they can trust that you’ll be there and you care. If your life is so busy it gets in the way of a 1 or 2 hour commitment to a kid per week, perhaps this is not the right time for you to mentor or play role model for a child. Show Them the Concept of Vision. Look at where you are in your life right now. Think about how you got there and what it takes to stay there. Create a visual through words or on canvas for them to see how your vision became reality and theirs can to. This is a great way to show them what hope and persistence can do. Teach Them HOW to Hang With the Boys. Has anyone ever told you HOW to hang out with your boys and what is appropriate or did you just learn through trial and error? Going out with the guys is fun and you get to release some tension. Young boys however, need to know things like how to know when something isn’t going well and they need to leave. Not all of people we call friends have our best interest in mind. We often don’t have REAL talk conversations with kids to prepare them for things that could damage them when they’re hanging out in a very clear an concise manner to avoid their getting caught up in something. Show Them You’re Not the Man of Steel. Many men have been taught they must love and protect others but men are deserving of love, attention and accolades too. How would a boy know he deserves this if no one shows him? Quick compliments on things he’s done will do a lot for his self-esteem. Even when they do something wrong, help them understand it’s the behavior that wasn’t the best and not them. Share a little of your personal story. Tell Them What You’re Working With. For boys who don’t have a male in their lives, they may not know what a male work ethic looks like because they could be surrounded by mom, sisters and aunts. As they mature they won’t know the issues unique to men in the workplace nor how to handle them but instead learn by trial and error. Boys need to know the various fields of work available and how to climb the ladder when they start working. You can help build a confidence in them like no other by allowing them to see how you are “handling” life like a boss, a humble boss that is! Help Them Understand The Give Back. As a mentor /role model you are giving your time to another unselfishly. Teach them the importance of doing that and how it impacts others. Show them things like how Meals on Wheels really feeds older people who might not otherwise eat or why it is important to remember they have a mentor once they grow up. Find a volunteer opportunity you can do with them and show them how to make a difference. This helps them understand valuing others and boomerangs back to valuing yourself. Burn Baby Burn….Energy That Is. Most kids in general are usually pretty active. Boys are no different except sometimes it seems they have even more energy to burn. Showing them healthy ways to be physically active helps to engage the connection with you easier and shows them the importance of remaining healthy at the same time. Forgive and Keep It Moving. Historically, mothers have been seen as the more nurturing parent. Times have changed and more dads are right there too. One thing adults are usually good at is stressing the importance of forgiving others. What we sometimes forget is teaching children to forgive themselves. Let them know they will make many mistakes but they still matter. Help them understand self-forgiveness, as this will save them a lot of self-inflicted emotional damage because they feel inadequate based on something they did 1, 2, or even 10 years ago. Positive role models are extremely important for our kids. If you have the time and patience now is the time! There’s a kid waiting on you. Aleasa Word is an empowerment speaker, emotional intelligence coach, author, talk show host and consultant in the Atlanta area. Her mission of hope beyond our past, healing, self-forgiveness and improving communication has been heard worldwide. 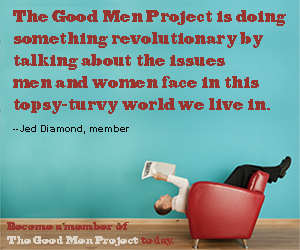 She is a long-time advocate for marginalized communities and has a passion for helping those with life threatening allergies and co-morbid disorders. . As a former editor of the Raising Boys section of the Good Men Project Mz. Word continues to support the mission of providing a platform to improve communication and successful outcomes for today's men, boys and all who they come in contact with.